Warriors made a fine start to their 2018/19 pre-season campaign with a well-earned victory over Guinness Pro 14 side Benetton Rugby at Stadio di Monigo on a sweltering Friday evening in Italy. Alan Solomons’ side got the perfect start when Chris Pennell went over after the ball was recycled from an Alafoti Faosiliva break but the hosts bounced back with tries for forwards Marco Barbini and ex-Warrior Derrick Appiah to make it 12-7 at the break. But a dominant second-half display saw Worcester rewarded when Joe Taufete’e crashed over and Jamie Shillcock’s conversion proved to be the difference as both sides chased scores late on. 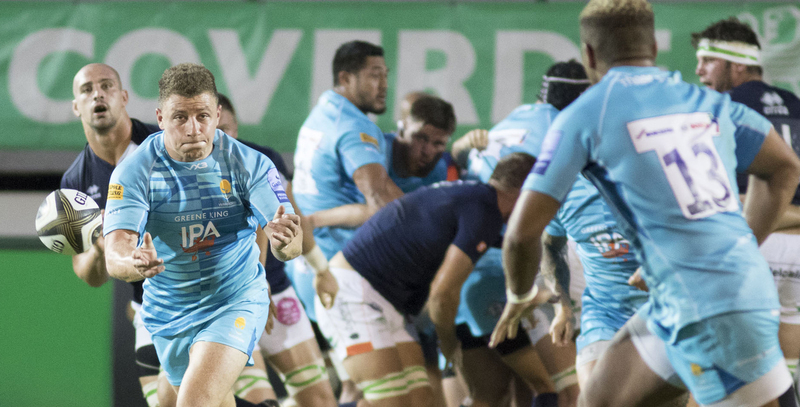 Isaac Miller and Duncan Weir were making their debuts for the Club in the pre-season clash and both were heavily involved early on as Warriors looked to get on the front foot. Both teams looked to get ball in hand but a series of loose passes and knock-ons early on saw most of the play in the middle of the field, until an almighty break from Faosiliva who clattered his way past several defenders before using Francois Hougaard, Sam Lewis and then GJ van Velze who was denied just short of the line. However, the ball was recycled and Pennell showed strength out wide to plough through his man and score before Weir landed the extras. Warriors looked to get in behind Benetton again as Ryan Mills chipped through for Perry Humphreys to chase but after the 15-minute mark the hosts seemed to find their stride and Solomons’ men were forced into a spot of defending. Barbini burrowed his way over from close range after 20 minutes as Warriors led 7-5 before a drinks break in the 30-degree heat. Francois Venter was then introduced for the first time and made a strong carry into space with his first touch of the ball before Warriors threatened again in the 22 before making a mistake at the breakdown. 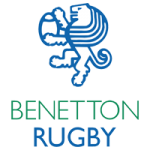 It was then a fine ten-minute spell for Benetton who dominated up front and Hougaard was handed a yellow card for putting his hands in the scrum following a series of penalties conceded by his team. With 14 men, Warriors did withstand one onslaught superbly, but the second time around, former Warrior Appiah showed brute force to whack his way over the line and Antonio Rizzi’s kick made it 12-7. Warriors did finish the half strongly as they peppered the line, but a crucial knock-on just short ended the half with just five points in it. The 40-minute replacements made a real impact as Warriors played with pace and purpose in the early moments of the second period. Venter looked ever dangerous while Matt Cox stormed forward as the visitors applied pressure in the 22 before conceding possession. Warriors enjoyed the bulk of possession and territory there forward and after a stampeding maul from the 22, they soon won a penalty before Taufete’e crashed over from the resulting lineout. Shillcock’s conversion put them back in front. More opportunities came with five-metre lineouts but Warriors failed to convert good territory and field position going into the final quarter. It was then Benetton’s turn to occupy some handy field position and territory but they coughed the ball up short of the line twice in the final ten minutes to let Warriors off the hook. The final stages were scrappy with both tiring sides knocking on in the first couple of phases but Warriors held on, to kick-off 2018/19 with a hard-fought win.